Part I shows the deadly consequences of a dysfunctional family, and ends in Part II with advice to young people not to get arrested and ruin their lives in prison. Part I starts out with Nell, who experiences abuse from her temperamental stepfather while growing up in a large family in Alabama. After marrying, she becomes trapped in another abusive relationship with a husband who threatens to kill her. She runs away with her young son to start a new life. Meanwhile, one brother gets killed and another brother is sentenced to life in a penitentiary in Alabama after killing a man. I loved the book, it touches on the subject of domestic violence in the south from the point of view of the victim, both at the hands of her own family and at the hands of the man who claimed to love her. It also chronicles the difficulty of life in the south, especially coming from a large family in a small town. I look forward to more work from this author. This book will change many lives. It talks about real life in a way that really gets down the bottom of the problem in our country. This is a must read for anyone who wants to find out how our system is broken where our youth is concerned. WOW!! I just read the excerpt of "Living With Evil" and I tell you, That I can't wait to read the whole book! Based on what I just read I believe it could be a best seller. 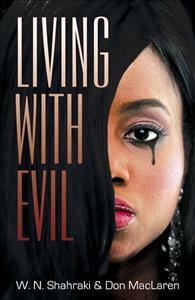 I read the book excerpt of Living With Evil, and I can't wait to read the book. If the sequeal is as good as the first, I say "bravo". Keep writing Ms Nell. The book was simply amazing very interesting I couldn't put the book down a must read for every adult. This book "Living With Evil" is a must read for all,who has faced similar challenges in there lives, it shows that whatever you go through God will always be there. I think that this author was a strong woman to endure all the pain and suffering she went through, in her young life, and able to tell her story in hopes to hopefully help someone else, God Bless You!